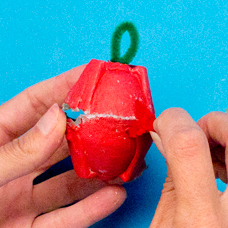 Use a recycled egg carton to craft an apple. 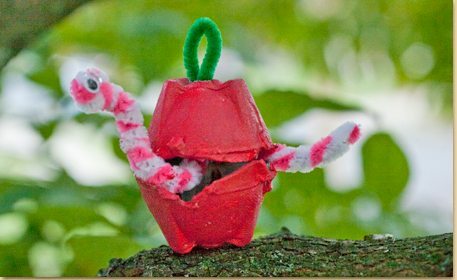 It makes the perfect home for a fuzzy stick worm! A fun and simple back to school or fall project. Cut 2 cups from the egg carton, trimming them to be mostly even. Paint the outside of each cup red, and the inside white. 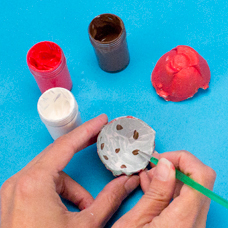 Use brown to paint seeds on the inside. Let dry. 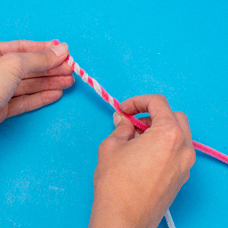 To make the worm, twist (1) white and (1) pink fuzzy stick together. 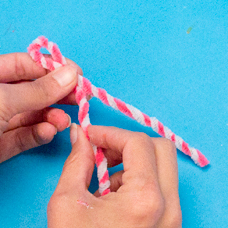 Fold the twisted fuzzy stick in half, and twist together the ends. 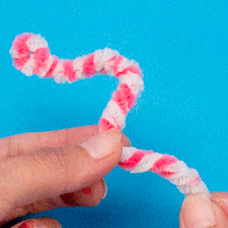 Shape the twisted fuzzy stick into the shape of a worm. The folded end is the head. 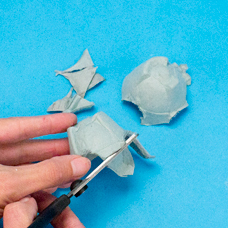 Glue a wiggly eye to each side of the head. 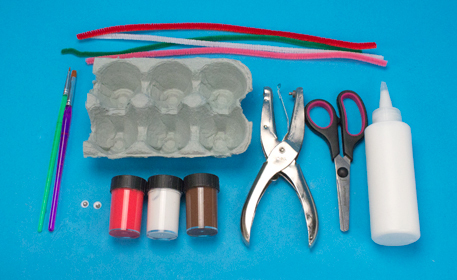 Punch a hole in each egg carton cup, as shown. 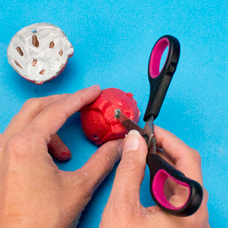 Have an adult use the end of the scissors to make a hole in the bottom of one egg carton cup. Cut a 2” piece of green fuzzy stick. 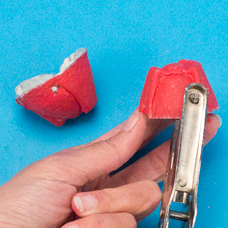 Fold in half and thread the open end through the cut hole in the egg carton cup. Turn the cup over and fold over the ends of the fuzzy stick. This will secure the fuzzy stick to the egg carton cup. 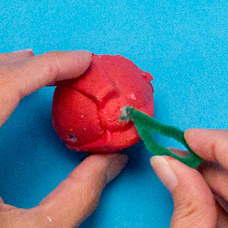 To connect the halves of your apple, cut a 2” piece of red fuzzy stick. 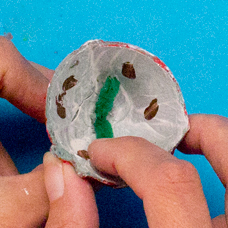 Thread one end through the punched hole in one egg carton cup. 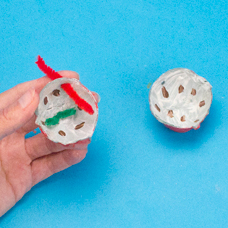 Thread the other end of the red fuzzy stick through the hole in the 2nd egg carton cup. Twist the ends of the red fuzzy stick together to secure the cups. 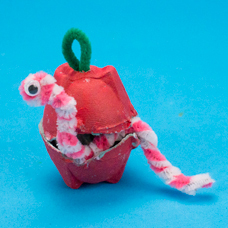 Place the worm in the apple. You can open the apple to store small items, like a pencil eraser or small stickers.